Ah the pound chat, from busy traders to slick chatters, to swanky PCers and to the common newbie. This board has it all and more, but the most confusing part is of course getting to know the lingo. So I’m Jazzy and I’ll run you through the lingo of the pound board. 1. Language that is unintelligible or unfamiliar. In this case lingo would refer to the terms and acronyms that are commonly used on the pound chat which can make things confusing to people who have recently stumbled onto the pound chat. 1.	uft- “up for trade”, when a user is taking offers on one of their pets to try and find another pet to exchange theirs for. 2.	ufa- “up for adoption”, when a user puts their pet up for adoption. You can make an application to try and show the owner that you would take good care of their pet. 4.	nty- “no thank you”, used to reject an offer on a pet. Some people find it annoying but when you have lots of offers at once it makes it easy to catch up. 5. Pound surfer- term referred to a person who is looking to adopt a pet from the pound. 6.	rw- “real word”, when a neopet’s name is a word that one could find in the dictionary (example- lingo, bingo, etc...). 7.	rn- “real name”, when a neopet’s name is a name that people are named after (example- Jazzy, Bob, etc...). 8.	wn- “well named”, a well-named neopet usually has a pronounceable name with a capital as the first letter then all lowercase. (Example- Jazzyion, Spazalor). 9.	vwn- “very well named”, similar to well named except the name is usually 5 letters or less long. (Example- Sailh, ps thanks Sail for letting me use her name). 12.	bd- “Battledome”, when a neopet has good stats to allow the pet to fight well, not usually considered as a Battledome pet unless the stats are high enough to be capitalized. 13.	app- “application”, usually either done on a pet page or in a neomail and is used when applying for a pet that’s up for adoption. 14. PC- “pound chat”, what most people call the pound boards. 15. PCers- “pound chatters”, what you call a person who is usually on the pound boards chatting or trading. Generally someone with experience about the pound board; most PCers are easy to recognize. 17.	rg- “royal girl”, the same as royal boy only the pet is painted royal girl. 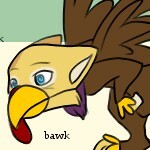 20.	avvie pet- a neopet that gives the owner an avatar. 21.	og- “orange grundo”, an avvie pet that you have to own in order to get the avatar. 22.	iq- “island quiggle”, another avvie pet that you have to own in order to get the avatar. 24.	custom- when one person creates a pet with the name and color for the person that they are trading with in exchange for their pet. 25.	le- “limited edition”, neopets such as Poogles, Cybunnies, Tonus, Koi, and Hissi are limited edition because they can only be created through create a pet on their pet days (sometimes). The only other way to create one is by zapping or morphing an existing pet. 26.	restricted- some pets are restricted from create a pet such as Grundos, Draiks, and Krawks. Grundos can be created from the Virtupets Space Station. Draiks can be created by morphing an existing pet using a Draik morphing potion, Draik transmogrification potion or by hatching a Draik egg at the Draik nest. Morphing an existing pet using a Krawk morphing potion or a Krawk transmogrification potion can make Krawks. Attaching an unzapped krawk petpet onto one of your pets when your account has three pets and then going to the Fungus Cave on Krawk Island to make the krawk petpet into a Krawk neopet can also create them. 27.	labbed pet- when someone refers to a labbed pet or a bd pet with lab stats, they mean the pet is generally a lower level and has high hit points and other stats making them untrainable until you increase their level. 28.	basic pet- a basic pet is a pet that can be created from create a pet and is one of the colors red, green, blue, or yellow. There you have it, the lingo of the PC. I wish I could say that is the most complex part of the pound chat, but alas, it’s not, but I’ll save that for another time. So I hope that this has helped and if you have any other further questions/comments, please by all means drop me a neomail. Thanks for reading and stay tuned in for further editions of The Pound Chat (Jazzy style)! Let's get a better understanding of what makes fonts look polished and tasteful.